Join us for the launch of the Breaking Barriers Exhibition. 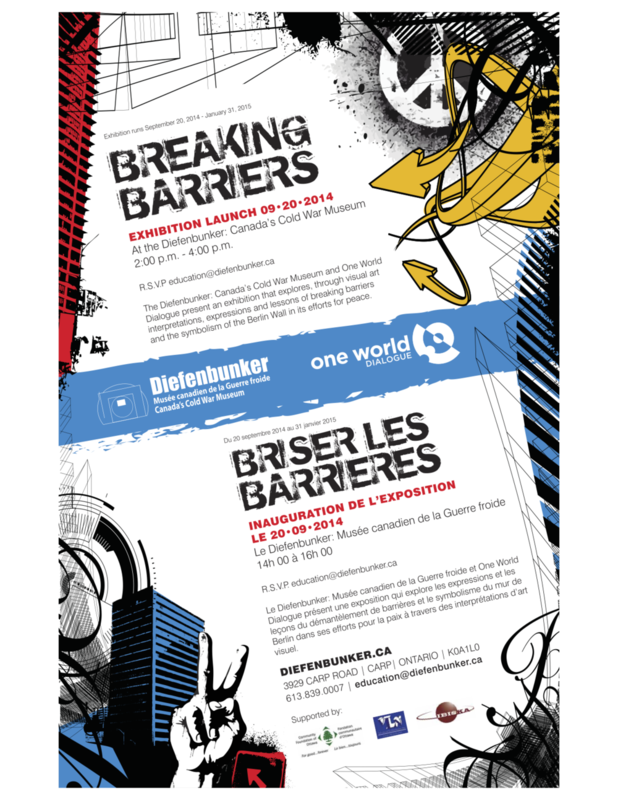 One World Dialogue and the Diefenbunker Museum: Canada's Cold War Museum have collaborated on an art exhibition exploring breaking barriers to peace. As 2014 marks the 25th anniversary of the fall of the Berlin Wall, we have used this as the inspiration with a group of artists from the Ottawa community and youth to explore ideas around how to build and overcome barriers to peace in our community and world. Come get inspired and share your ideas. At our launch, you can view the exhibition for free (by rsvp only). We will have a performance by Propeller Dance and a few speakers to discuss the exhibition.